Government University (106 years old). Recognized by Medical Council of India (MCI). Accredited and certified by the Commission of Higher. Holds the distinction of Level IV University in the country. Collaborated with University of Hawaii Kapiolani College for nursing. Commission on Higher Education (CHED). Listed in International Medical Education Directory (IMED). Education Commission for Foreign Medical Graduates (ECFMG). Nepal Medical Council(NMC), Bangladesh Medical & Dental Council(BMDC). Maldives Medical Council (MMC), Pakistan Medical & Dental Council(PMDC) & Medical Council of Thailand. Attain excellence and leadership among Instruction in Medicine and Allied Health Professions responsive to the needs of the dynamic health system. Enhance scientific, clerical and community based health researchers along identified local and global concerns for the improvement of the general health and conditions. Strengthen relevant extension services and help uplift people’s lives. Improve Production through optimal utilization of available resources geared toward self-reliance. The University is duly accredited and certified by the Commission of Higher Education (CHED). 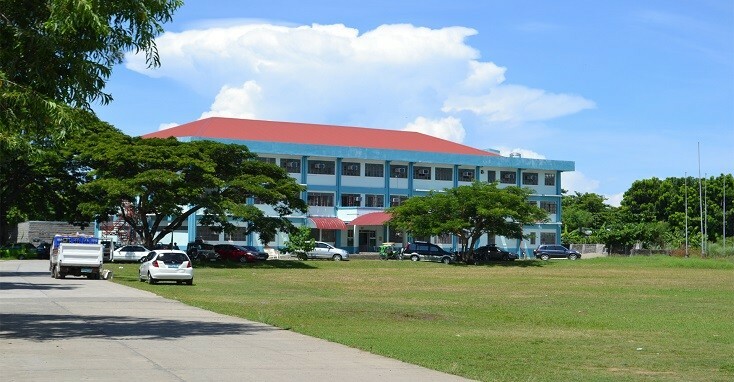 In medicine affiliate hospitals includes Candon General Hospital, Salcedo District Hospital, St. Lucia District Hospital, Southern Ilocos Sur District Hospital, Sto. Nino, Cagayan Valley Medical centre, Candon City Hospital, Central ilocos Sur District Hospital and ilocos Region Training Medical centre. UNP Hospital is an institute that resonates the coming of age of medical services in Vigan City, Philippines. May it be a day to day regular ailment or a concern that requires specialty services and care it can all be found here. A team of expert doctors with decades of experiences highly trained nursing and ancillary staff, latest equipments and machines handled by skilled technical staff and a strong backbone of support services has helped elevate UNP Hospital to a premier health care institute. UNP Hospital provides a wide range of inpatient and outpatient medical, surgical and diagnostic services with an integrated team of skilled and compassionate physicians, health care professionals and staff. UNP Hospital has grown and expanded to provide new and advanced services, the latest technology and modern facilities to meet the needs of the communities. The university provides its students with sufficiently comfortable housing facilities for both male and female student residents. These dormitories are provided with bathrooms, kitchen and laundry areas, computer center for speedy internet service, athletic oval and gymnasium for sports and recreational activities, laboratory facilities with wide variety of simulations, audio-visual materials and models for research and experimentation. The country boasts of a unique identity that is mixture of different cultures and communities from western as well as its neighboring eastern countries. Philippine culture shares a lot of similarities with western culture as it was occupied by Spain for around 300 years and the United states for about 50 years. Filipinos are known for their Hospitality. Philippines is the largest English Speaking country in Asia and third largest English-speaking country in the World. English is used as a medium of instruction in higher education and that's why Filipinos are considered as one of the most competent English speakers. Literacy rate is more than 93%. English is a official language of Philippines in addition to Filipino. Philippines as being former colony of USA and more than 92% people speaks English. Philippines follow the American education system and the medium of teaching is English Student interact with patients in English. Doing MD from Philippines after 12th, students get dual degree (BS & MD). Education system similar to that of USA. American Style PBL Curriculum. Easy to get through USMLE. Many toppers go to USA from Philippines. Medical universities are listed in the world health organization (WHO) Geneva, FAIMER, etc. The Philippines attract student from more than 55 countries. Student from the United states , Europe, Singapore, Malaysia, Taiwan, Thailand, Hong Kong are also studying in Philippines. Many universities are having tie-ups with US medical colleges for clinical clerkship / rotation accommodation, later help in getting job in USA after graduation. Philippines have Top renowned universities Worldwide. Great training and clinical experience for student. Philippines Medical Colleges are having excellent trek record. Over 90% success rate of MCI test. Very high success rate in USMLE. Excellent and comfortable boarding facilities. Affordable medical and dental expenses. Tropical country with disease common in India such as Malaria Typhoid etc. Weather is tropical like in India and temperature ranges from 21 to 35 degree centigrade. By and large temperature remains between 28 to 32 degree centigrade throughout the year. Philippines is well connected to all major cities of the world and has three international airports at Manila, Cebu & Davao. Manila has various means of public transport system in the form of Buses, Metro rail, sharing taxis (Geepneyes), Taxis etc. Food & Accommodation: 50,000 Peso for 6 months. Visa renewal Charges for 4 years: Rs. 48,000/- for 4 years. Approximate Exchange Rates: $1=52 Peso & $1= 65 Rupees. Admission Fee: - All Applicable Charges for Admission. Flight Ticket: India to Philippines. Ministry of External affair letter. Ministry of Foreign affair letter. Apostle of all academic documents. SASO Membership (International Organization Membership In Philippines). ISS Membership (International Organization Membership In Philippines). Express Lane Filing Fee, Express Lane Certification. ACR Registration & I-CARD Assistance. Immigration Clearance Certificate in Philippines. Quarantine Certification from Bureau of Quarantine and International Health. All Accommodation Arrangements for Student in Philippines & Indian Veg food. Bank Loan (Preparation of File & To provide all necessary Documents). Mobile Sim Card in Philippines. FREE TCBC CARD from Axis Bank. The Fees of all Services includes all the Charges applicable for the student to go from India to Philippines, No Hidden Charges or any other applicable charges. All Commitments & Assurity would be given on Stamp Paper.